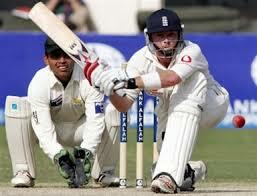 Why often or sometimes batsmen get Top edges when they play sweep shots? Before we jump into the reason of why a batsman gets Top edges when they play a sweep shots, we need to understand for what exact reason or purpose the batsmen will try to sweep a ball especially in spin bowling. A sweep shot is a special kind of shot which has the great ability to control or dominate the deviation of spin or swing of the ball after hitting the pitch. 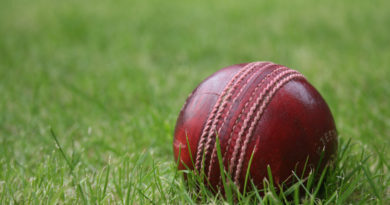 It is named as sweep shot since just like sweeping a dust on the floor it is played very close to the ground by moving a bat with a horizontal or cross-bat positioned in a semi-circle or horizontal arc direction from one end to the other end around the body area. In a modern day cricket era most of the batsmen try to sweep a ball just to have control over the extra spin or conventional spin of the ball and yes it is one of the most reliable and safer option to dominate the spin bowling. We need to know and understand that a sweep shot can be played only with a bat positioned in horizontal or cross batted direction but not with a straight or vertical bat position. During the impact of the ball with the bat because of the position of horizontal or cross-batted direction of the bat, will create the ability to cover the maximum spin of the ball after hitting the pitch. But at the same time because of this same position of horizontal direction of the bat during playing a shot also has the inability to handle or control over the bounce of the ball after hitting the pitch. 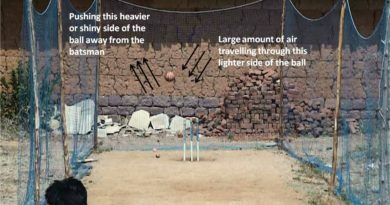 Always and always on any kind of cricket track the bouncing deliveries will be a big threat to horizontal or cross batted shots. It had been really never easy even for the most of the good batsmen to get rid of bounce when played with a bat positioned in horizontal or cross batted direction. And here since we know that a sweep shot is a horizontal or cross batted shot, obviously will have a difficult in dealing with the bounce of the ball. 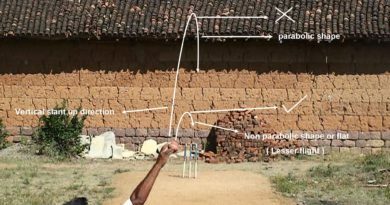 The bouncy character of the pitch and the inability of horizontally directed bat in managing the bounce could not be the only reasons to get top edges when a batsman plays a sweep shot but also like not getting closer to pitch of the ball using front leg, not picking the length, unable to judge the bounce of the ball are the other reasons in getting top edges even on flat non bouncy tracks. Picking the length and getting closer to pitch of the ball will play a major role in playing a sweep shot, since a sweep shot is played very close to the ground with a horizontal or cross bat rotated in arc direction.